Don’t you just hate having to ‘shop’ for a font in your photo editor? 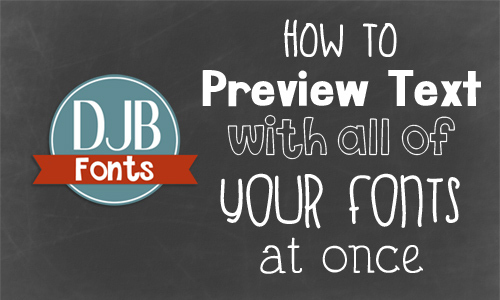 You’ve created this awesome text for a scrapbook page, a book entry or a cover page, and now you have to click through every single font in your editor to find the perfect look. Sure, you might have an idea of what you’d like, but if you aren’t set on what you want, it can be such a pain. 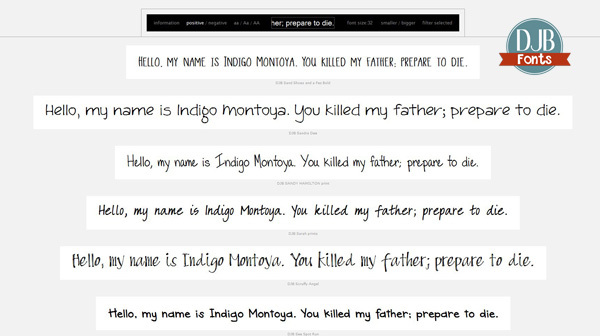 Wouldn’t you love to be able to preview what text looks like by every single one of your fonts all at one time instead of picking and choosing? Well, you can! 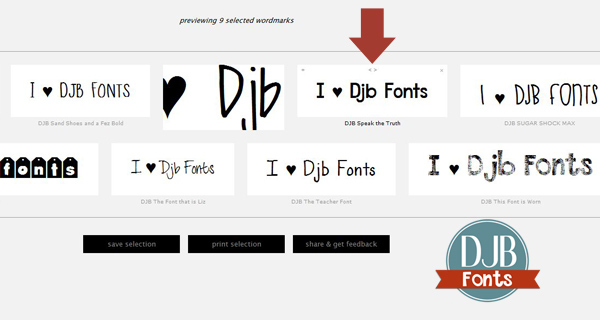 You’ll have to hit the load more fonts button occasionally, but it’s totally worth it, I promise! Isn’t that amazing?! What an awesome tool this is! Keep it bookmarked for your future projects! It has some cool things that you can do with it, too! You can toggle between the aa/Aa/AA and get different perspectives for case. Then click on a preview button and have the toggles between zoom, kerning and deleting. You can then save the file, print it, or even save a url and send it to a friend to get their opinion (sort of like taking a screen shot). 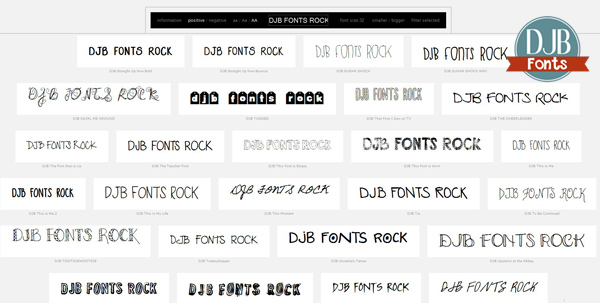 Now…go waste a few fun hours playing with your fonts! OMG! This is so cool! Thanks for sharing! Hope it worked well for you! I love you! I have been meaning to say that for a long time! 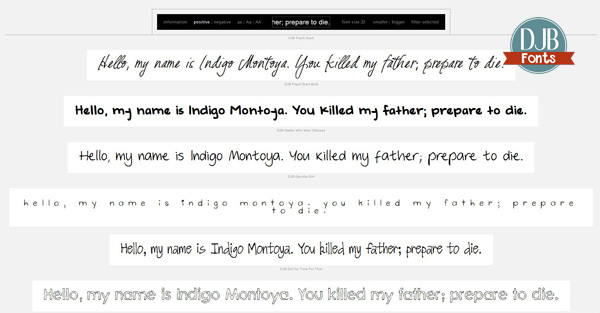 The Princess Bride quote put me over the top!